1. Twisty fun and toning: Whilst you’re having fun singing and playing with little one you’ll also get the chance to tone your body at the same time! The aim is to realign and restore your body back to its pre- pregnancy state. During the session there will be poses that we do especially for you. We will be focusing on bringing flexibility into your spine and hips, opening up your chest and strengthening your arms and legs as well as some breathing exercises to keep you a fit and active mum. 2. Baby Bonding: Each session provides an ideal opportunity to leave behind your day to day pressures and truly focus on your child and their needs. It’s a special time where everything else is forgotten and all that matters is connecting wholeheartedly with your baby. It’s also a time that helps your little one to deepen their own bond with yourself, feeling your presence and attention completely focused on themselves. 3. 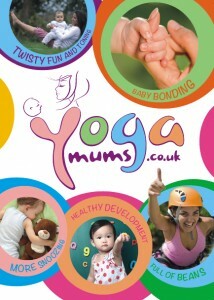 More snoozing: Many mums often experience that their baby sleeps more soundly after taking part in a Yoga Mums session. This is due to them engaging in gentle exercise and receiving appropriate stimulation through songs and play. For similar reasons, including guided relaxation in sessions, many mums have also commented on how they too experience a better quality of sleep. 4. Healthy Development: Mother and baby yoga is so beneficial for baby’s development. The different movements such as rolling, sitting, standing and spending time on their tummy will encourage them to reach their next physical milestones. As you sing and chat with little one language and communication development is taking place and through experiencing different movement sequences their memory is stimulated too. Interaction not only with you but other babies present in each session will also help with developing confidence and aiding social and emotional development. 5. Full of Beans: After each session you’ll feel great! 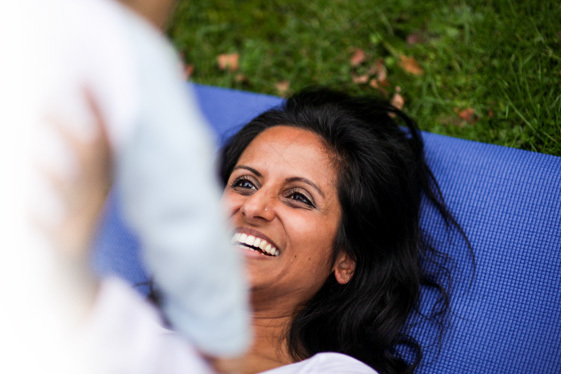 You’ll not only have a spring in your step as a result of the reenergising yoga you’ve just done but having set aside some focused time with little one you’ll also feel more closely bonded with your baby.